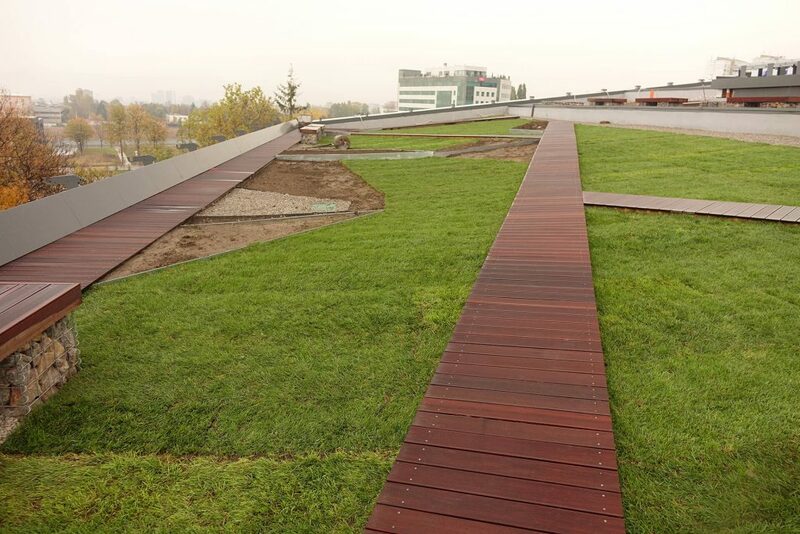 ESHA has developed a system to provide optimal drainage, drainage and water retention. 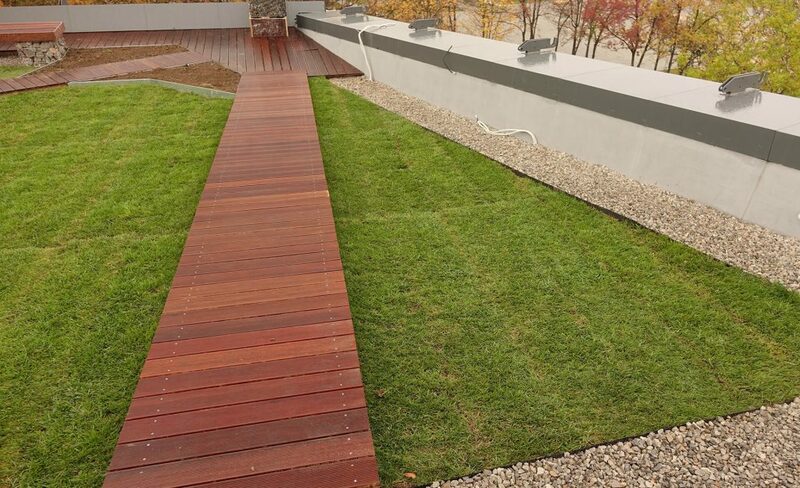 This system also serves the needs of watering for roofing landscaping. 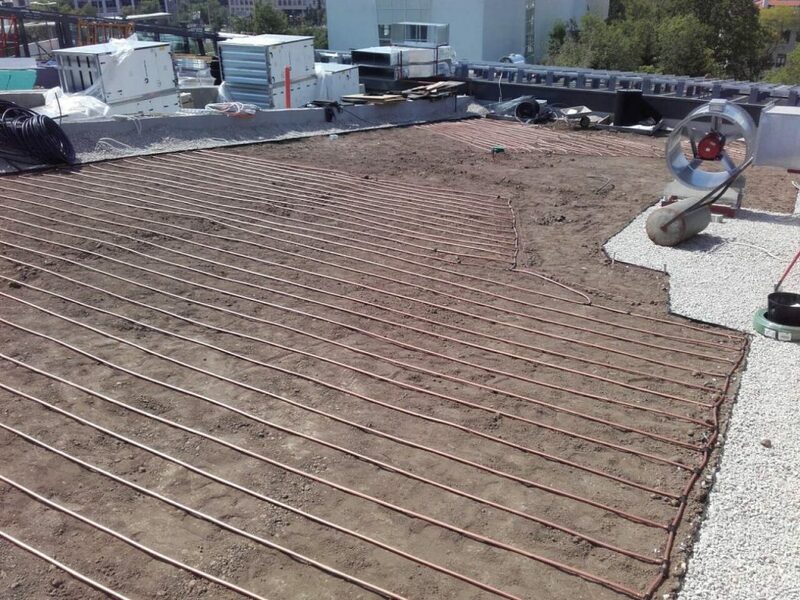 The technology is extremely lightweight and easy to apply, provides complete waterproofing protection. 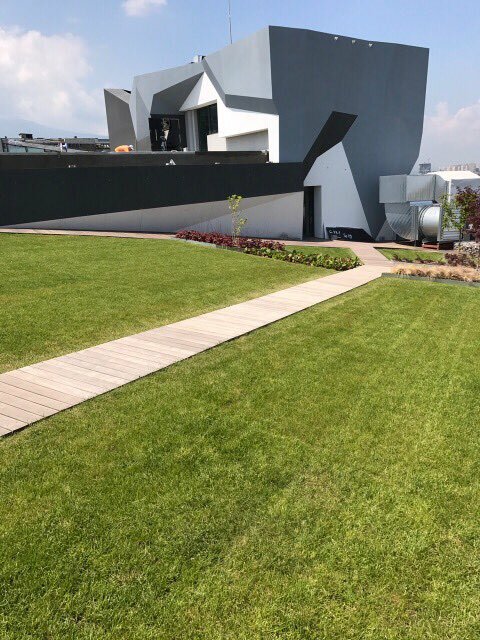 Even more interesting was the project and the fact that we used a pure humus substrate in order to preserve the mineral and fertile soil qualities for many years and not the widespread light substrates that have worsened their mineral and fertile qualities over the years. 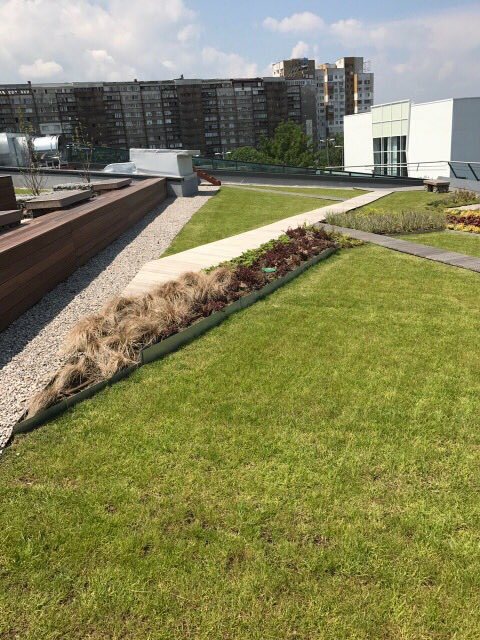 Given the specificity of the site when selecting the underground irrigation system, again, the standard for irrigation of lawns with sprinklers is not used, but with the RainBird underground drip irrigation. 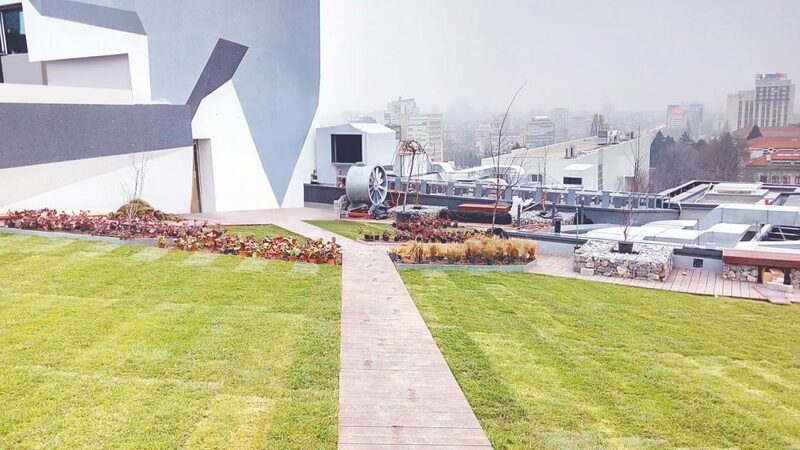 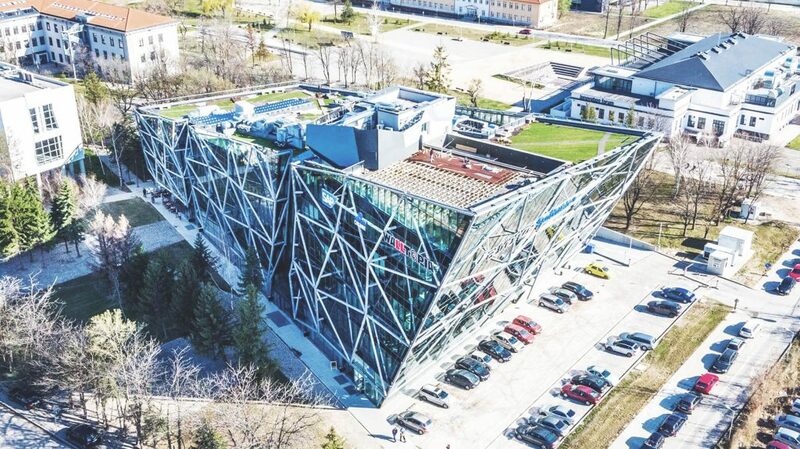 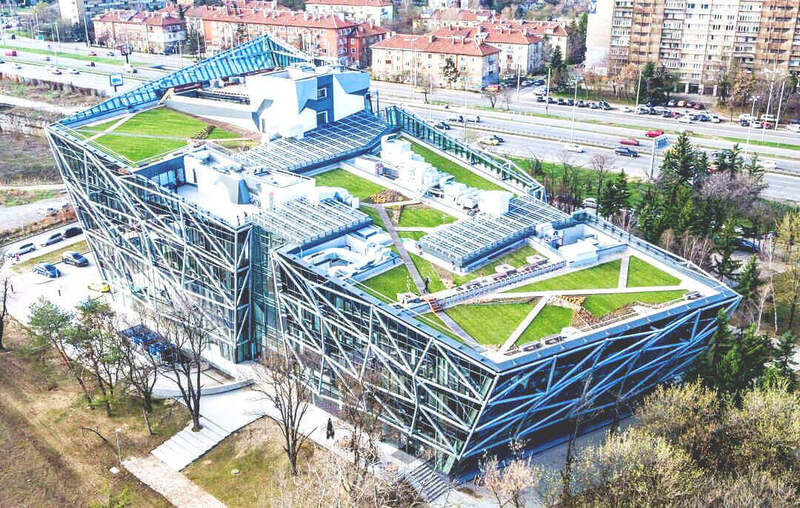 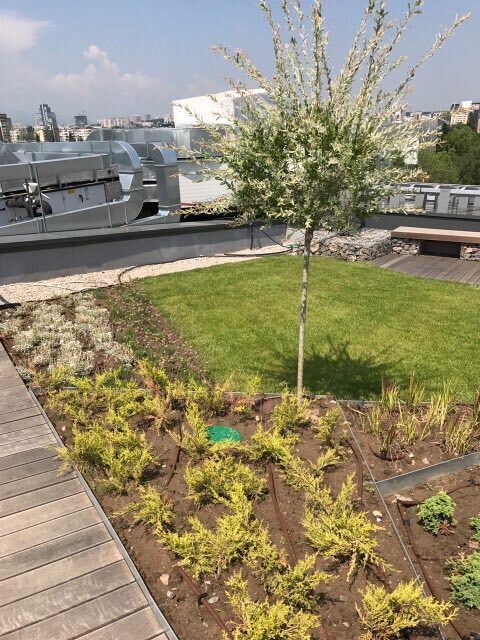 Due to the sloping surface of the terrain and the peculiarity that all water will drain into the lower surface of the roof, this automated irrigation solution was best suited to adjusting the humidity by compressing or diluting the drip hose. 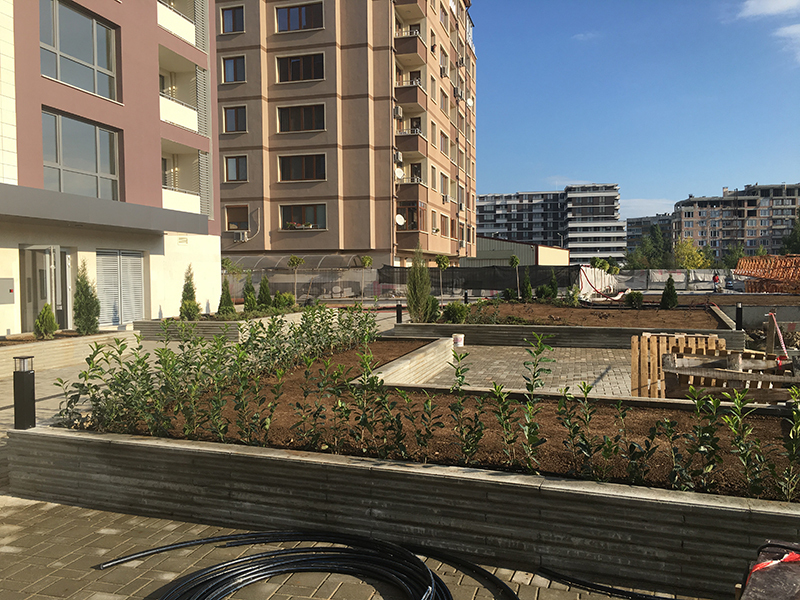 In addition to all other benefits, underground drip irrigation also provides even watering, thus avoiding the risk of fungal diseases while reducing water consumption. 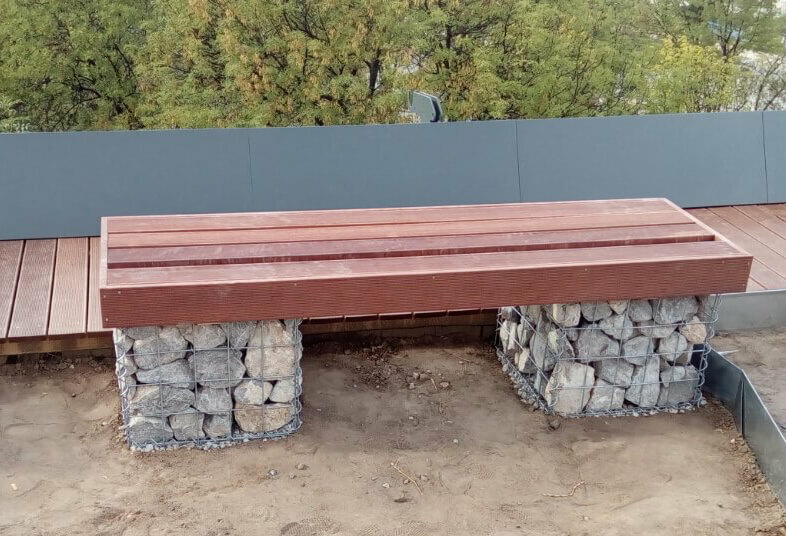 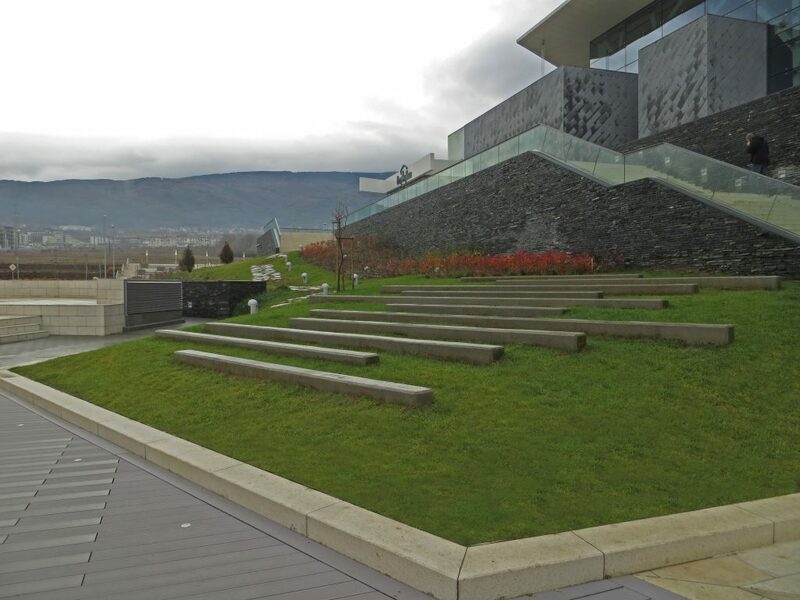 These are functional and aesthetically shaped seating areas with benches and caskets built of gabions and decorative seating. 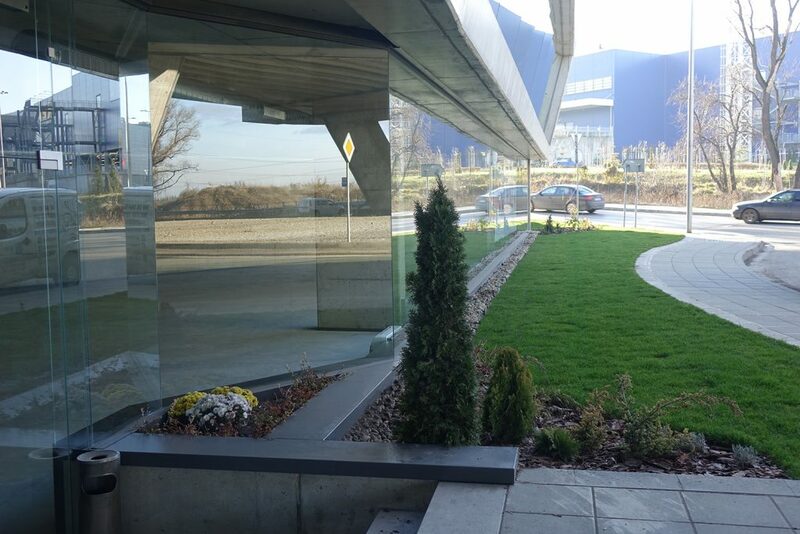 These corners are surrounded by decay. 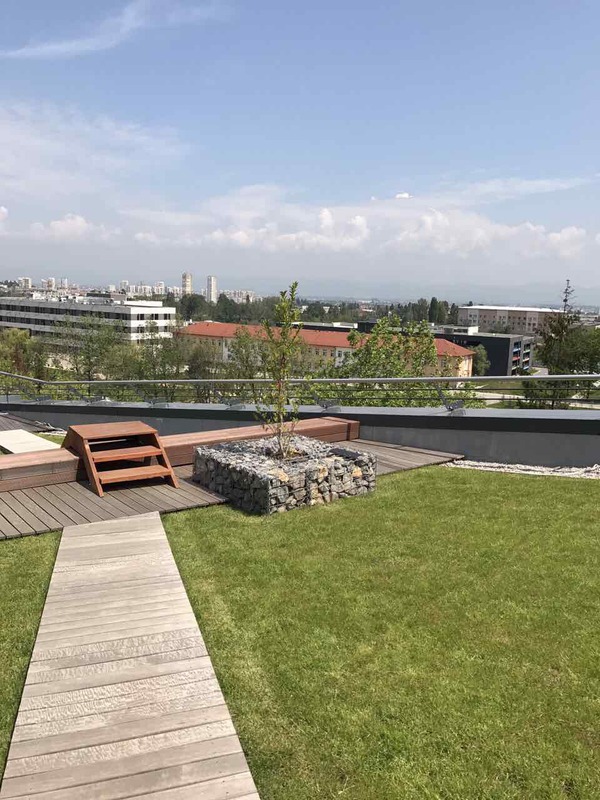 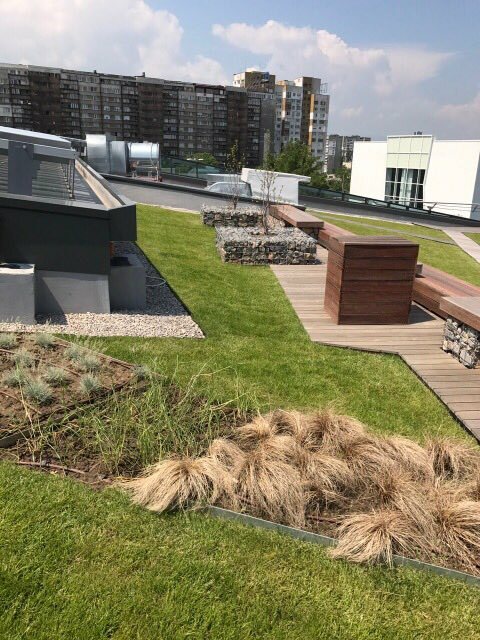 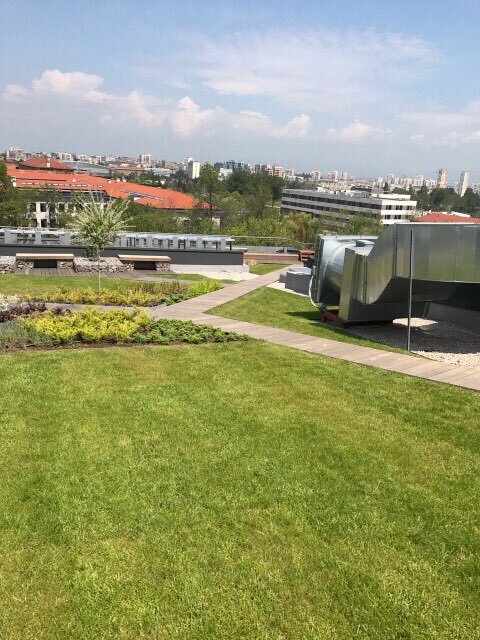 Stone, wood and plants harmonize the setting of the roof garden, and make the visitor feel comfortable in the urban environment. 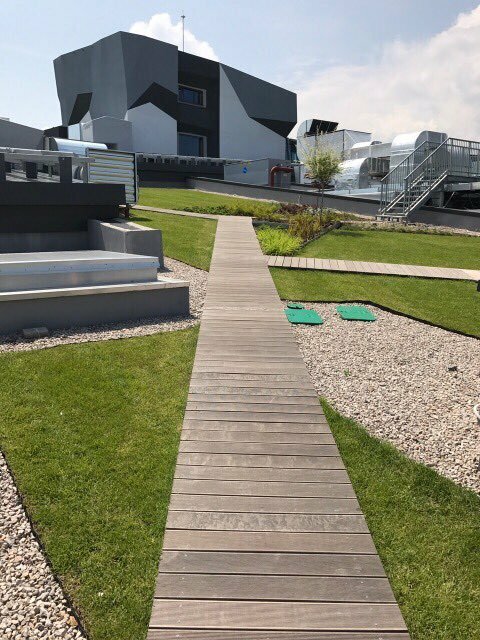 The alley network was also built by a deck, this was a real challenge from construction and installation due to the 12% pitch of the terrain. 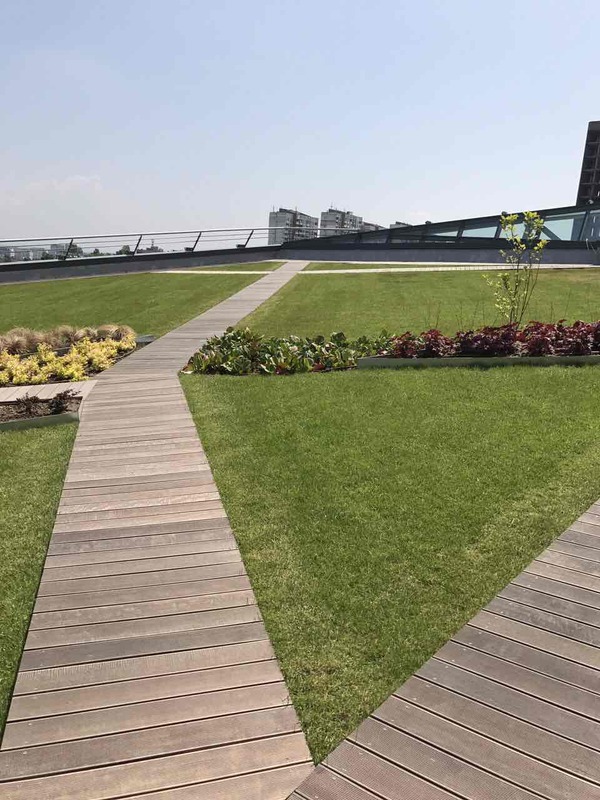 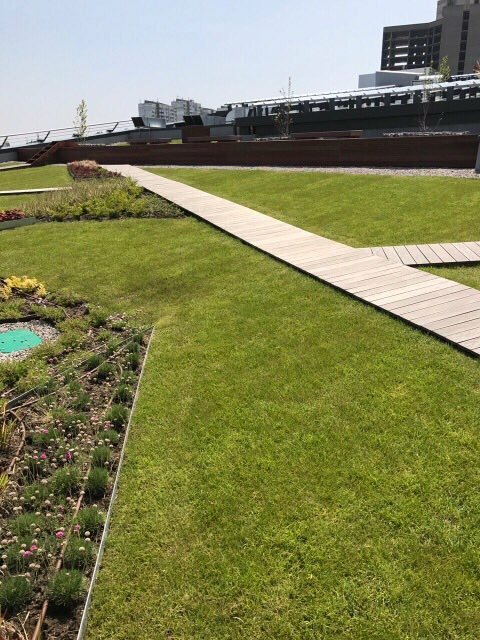 Our team resolves different types of bumps so that the decking has the vision and the feeling of a smoothly inclined surface. 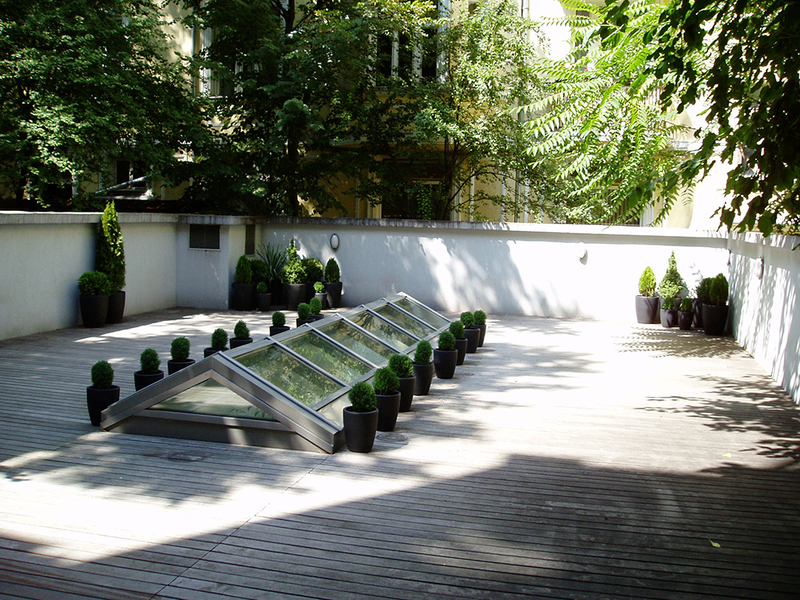 Apart from the decking lanes, another interesting architectural element was the benches mounted on the roof of the highest roof, highlighting the outdoor terrace adjoining the pool, built again by decay. 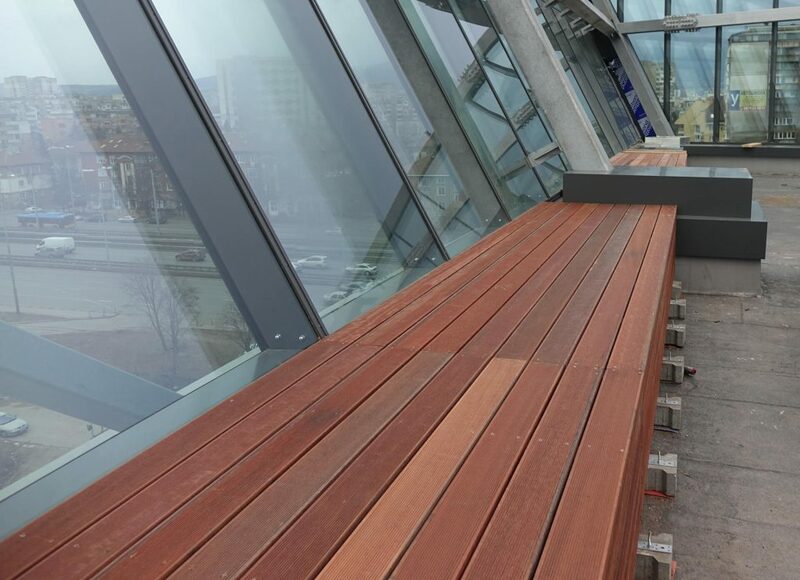 As a material, we used specially delivered African wood – a massand, which has excellent characteristics such as hardness and durability of the weather. 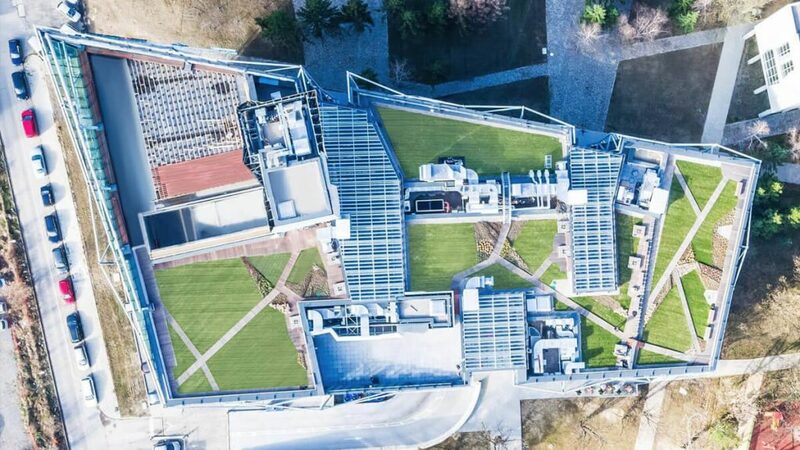 Completely built with grasshopper, the green areas have a unique character that is complemented by decorative bush groups. 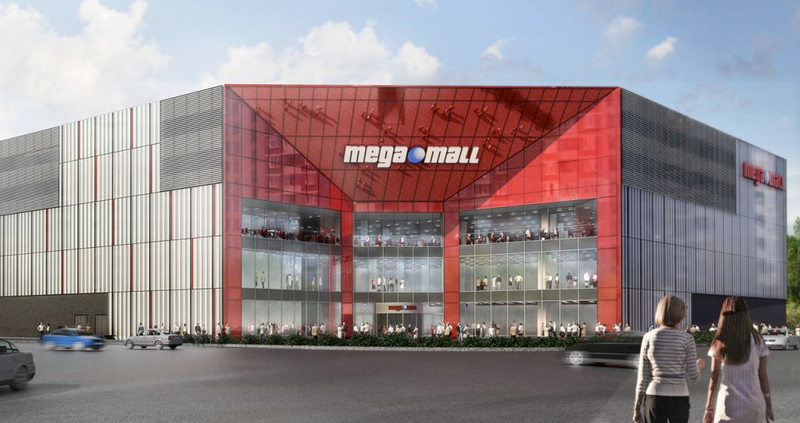 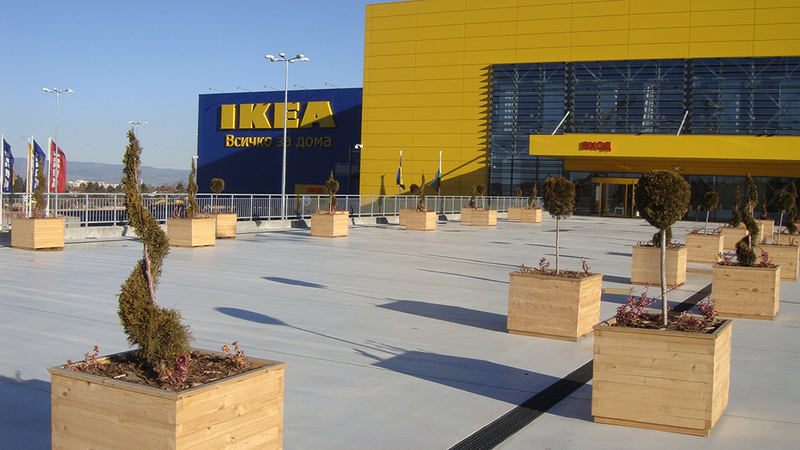 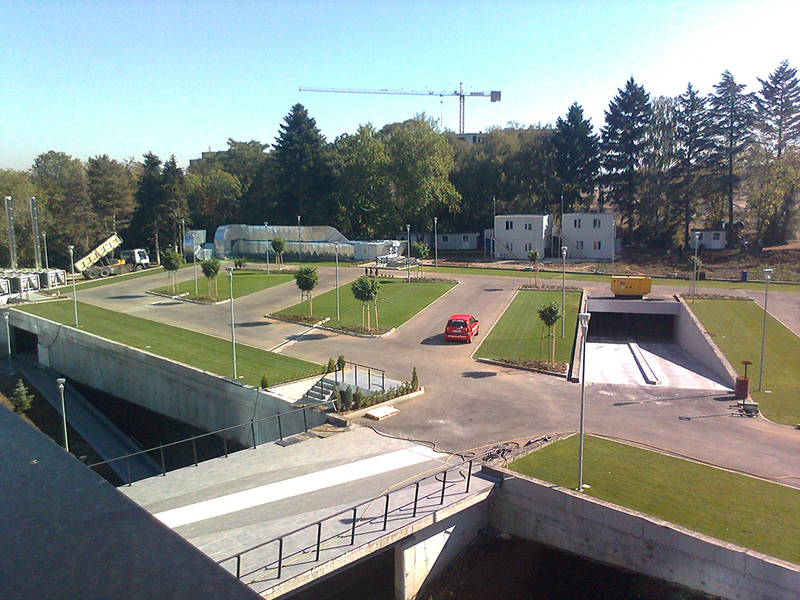 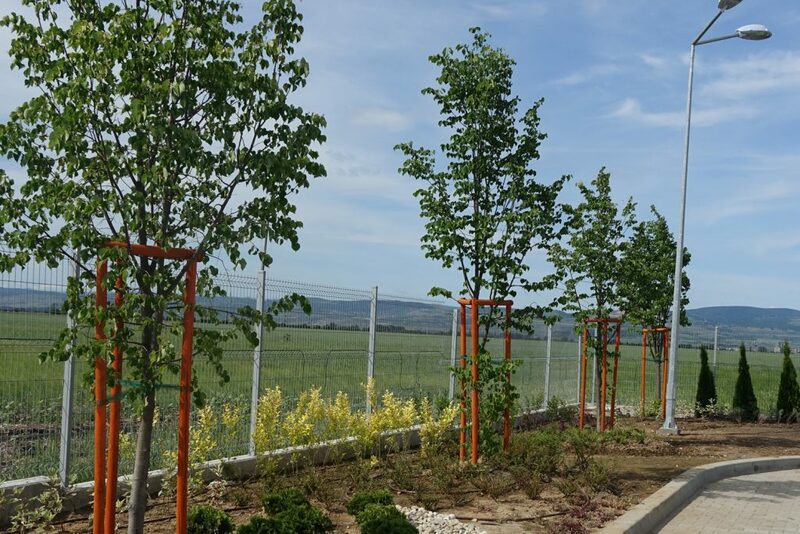 About 120 m2 of vegetation is designed and executed in non-standard lifted metal wedges. 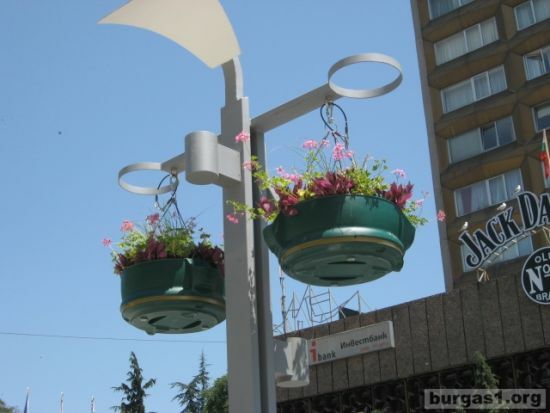 The end result of florists is unique. 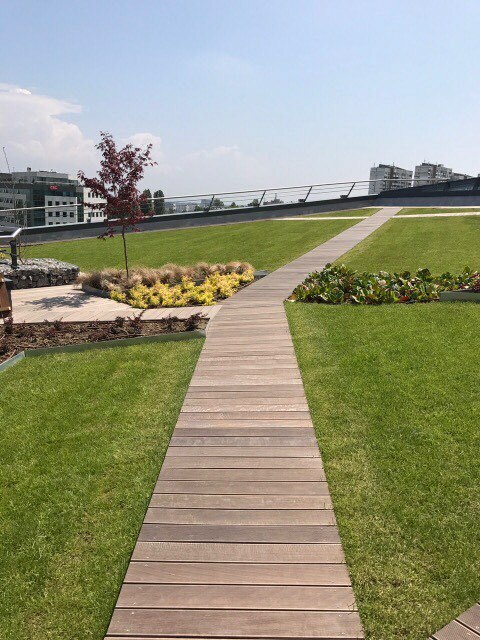 Other highlights are the planted variety of decorative grasses and cliffs made up of gabions that have been planted with beautiful magnolia. 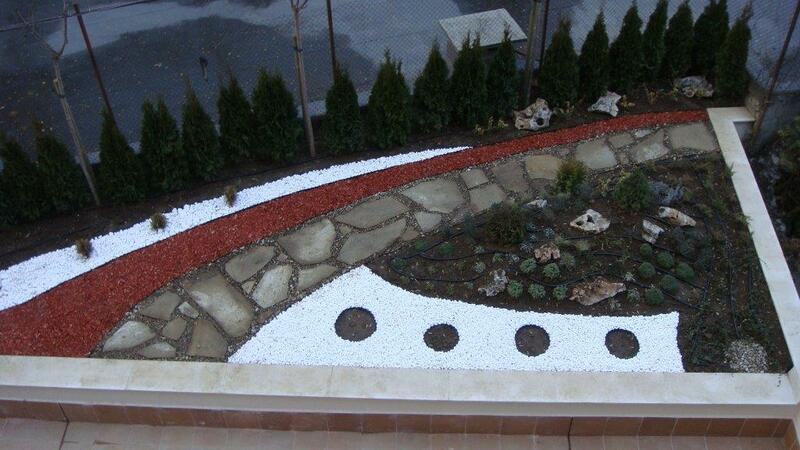 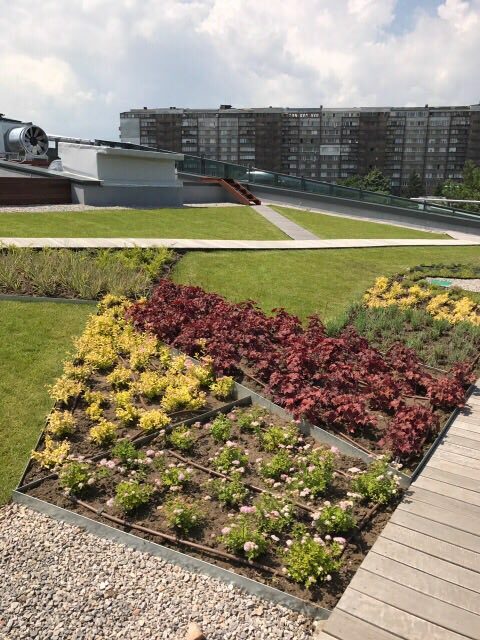 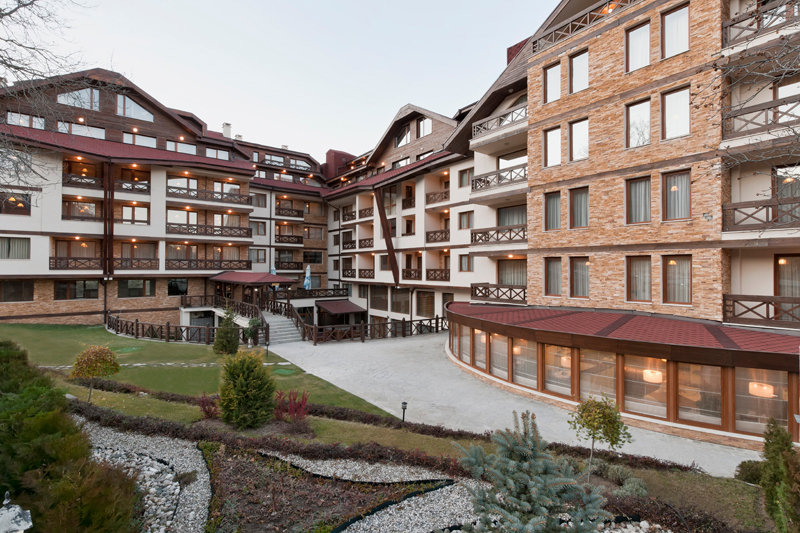 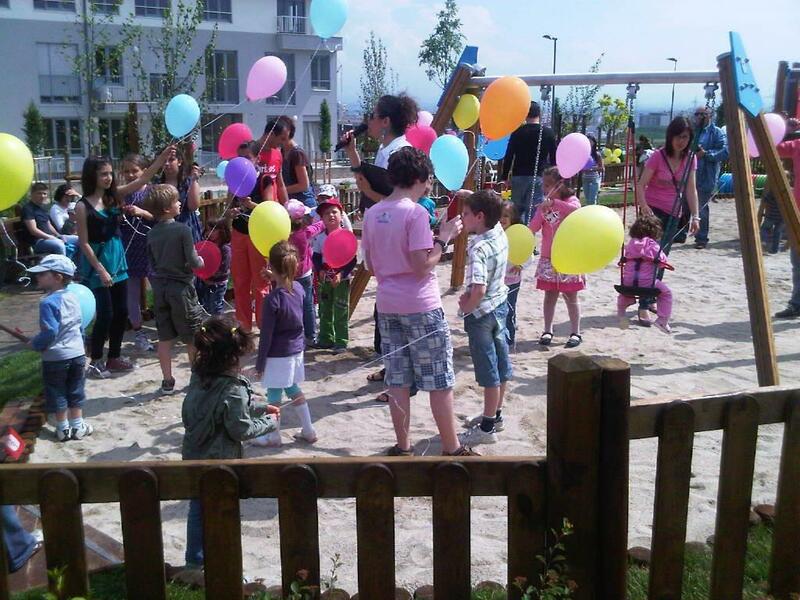 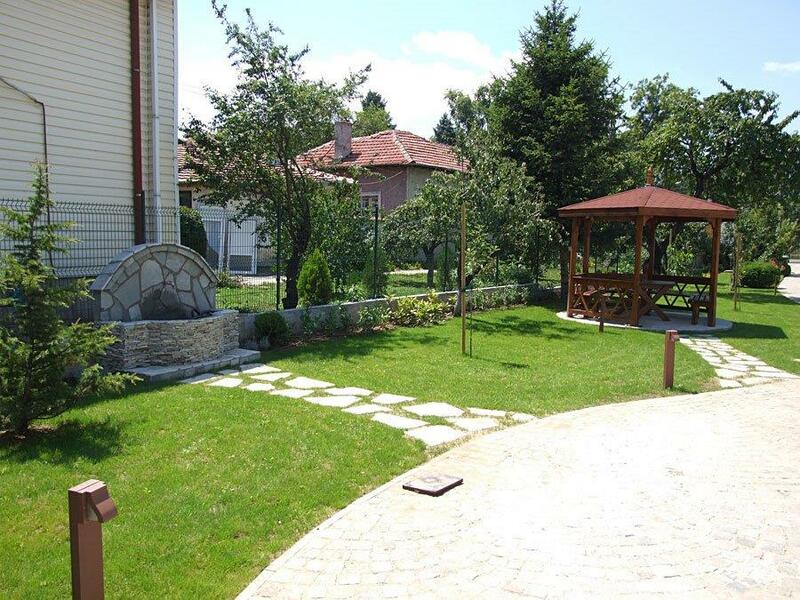 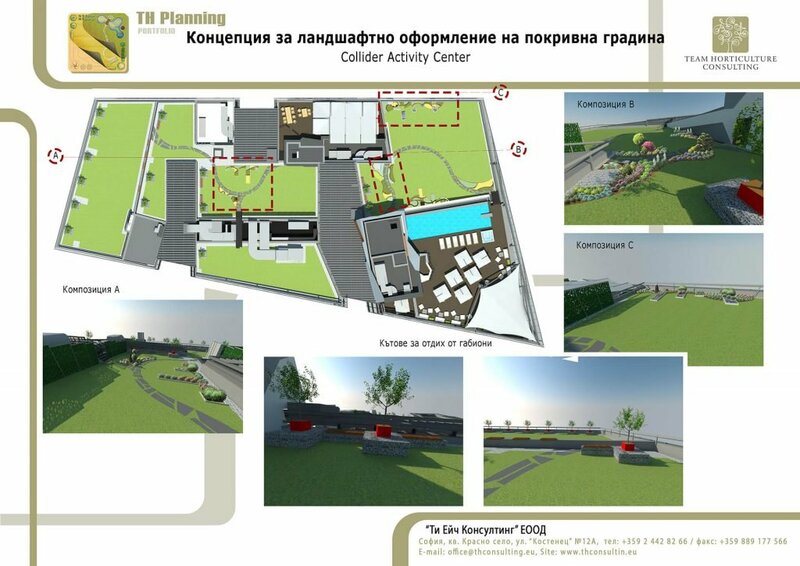 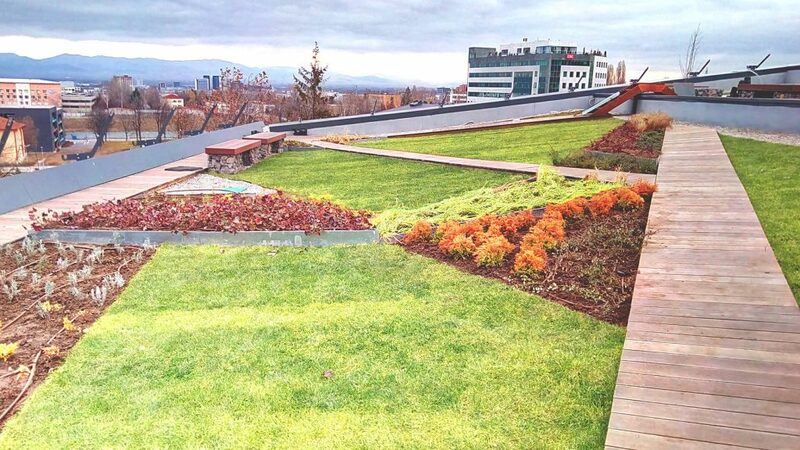 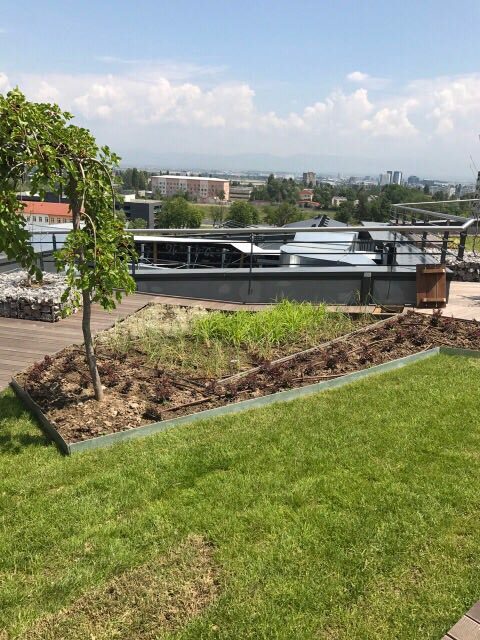 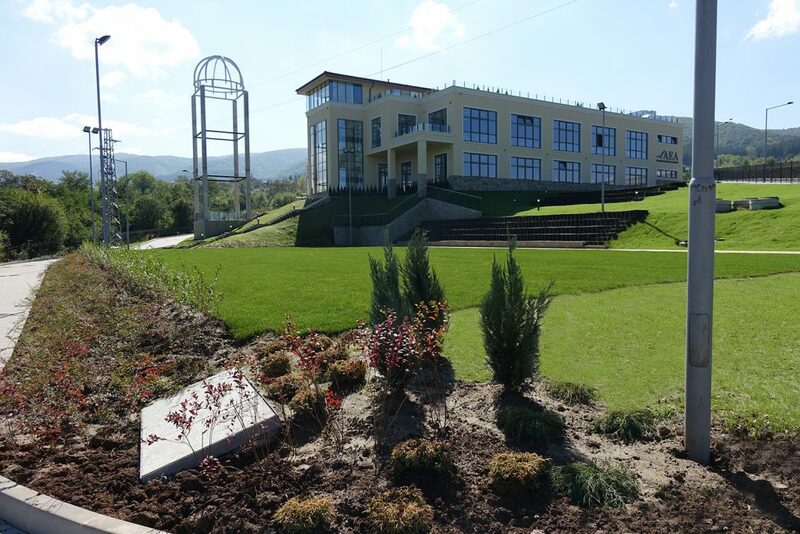 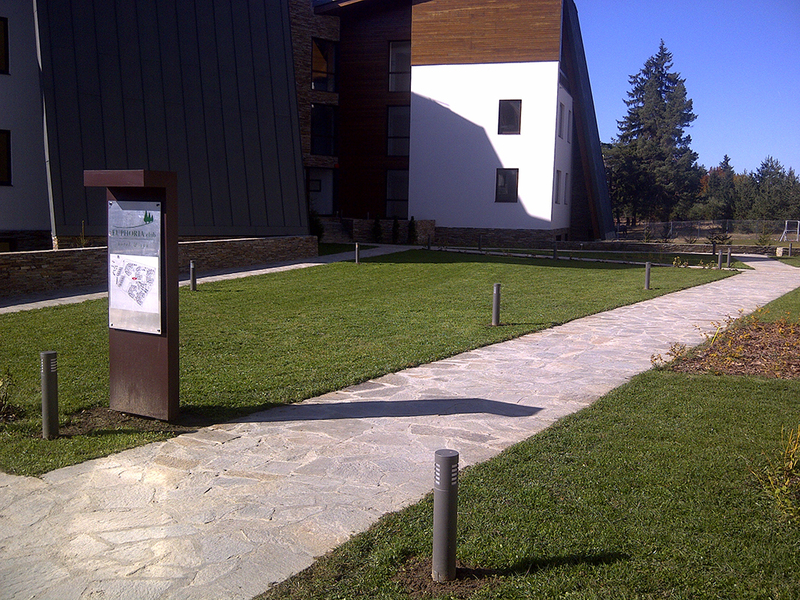 To fully fulfill the landscaping project of EUPHORIA Hotel, Borovetz, we had to: – Develop a detailed design in accordance with the “Park Management” regulations; – Grassing and planting of a variety of plant species – trees and shrubs; All landscaping works ended in October, 2011. 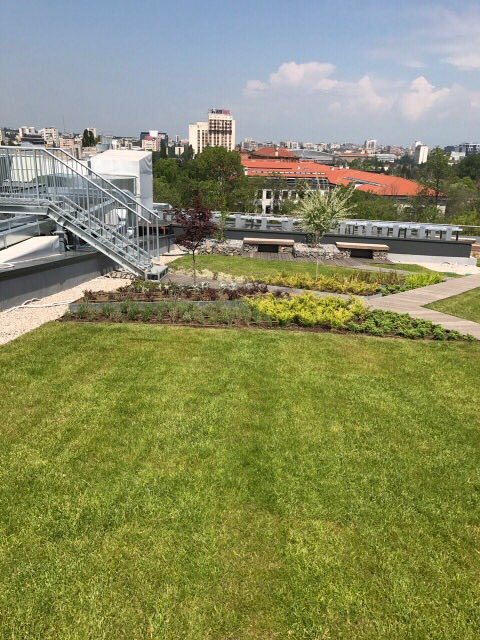 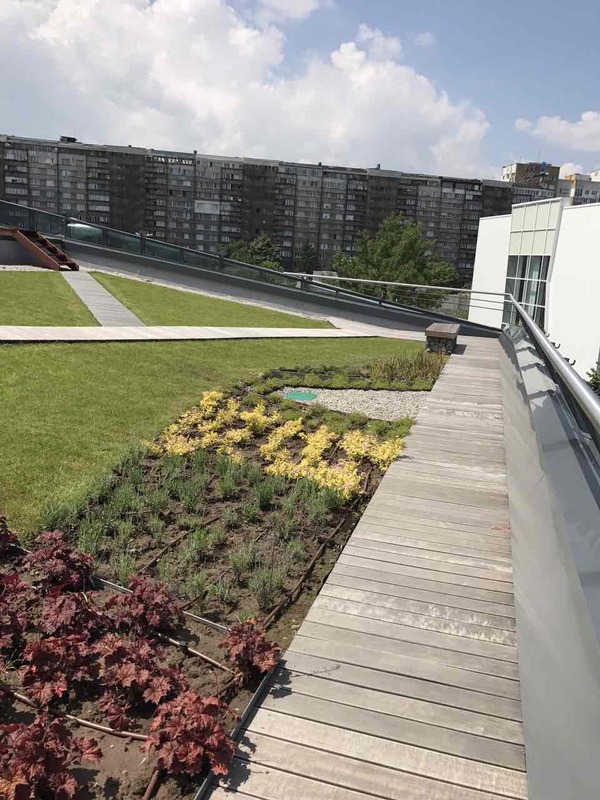 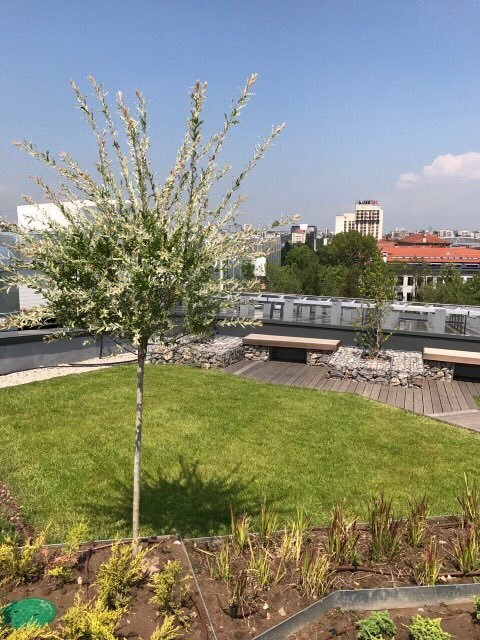 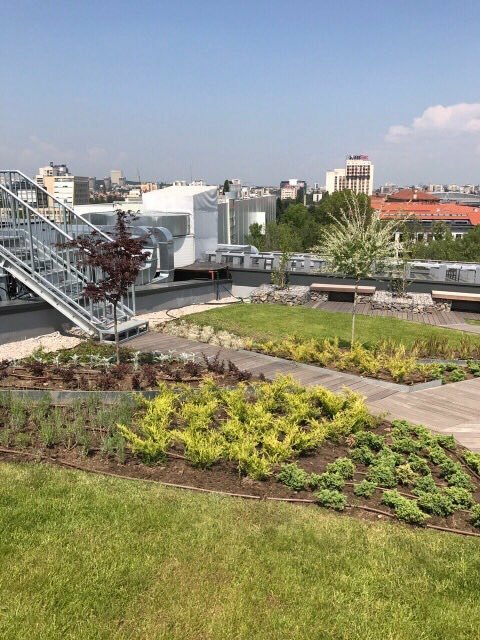 “TH Consulting” LTd. fulfilled the landscaping solutions with exterior pots for a better appearance of the yard of the Employer’s headquarters.